The Ninomiya pearl is dealing with Akoya pearl and South Sea pearl (White and Black) . 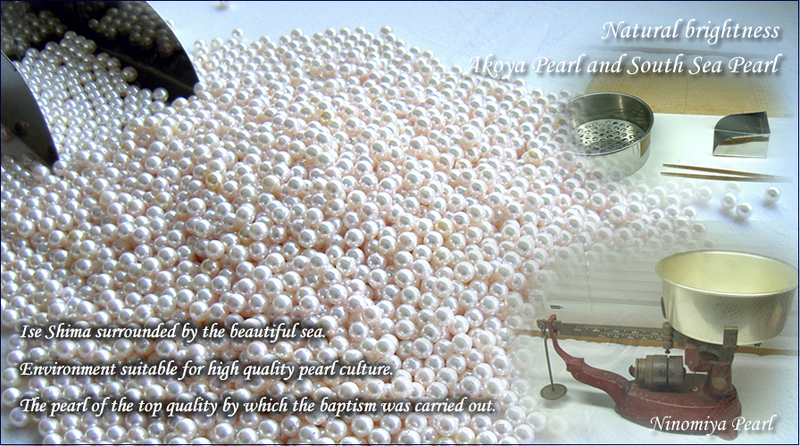 By old technology and experience, Ninomiya pearl's processing technology is impossible in the other company. Please look at quality goods with budget prices. Copyright&Copy; 2002 Ninomiya Pearl Co.,Ltd. All Rights Reserved.